Fall is the favourite hiking season for many. The annoying bugs are gone, the leaves are full of color, and the air is cool and crisp. 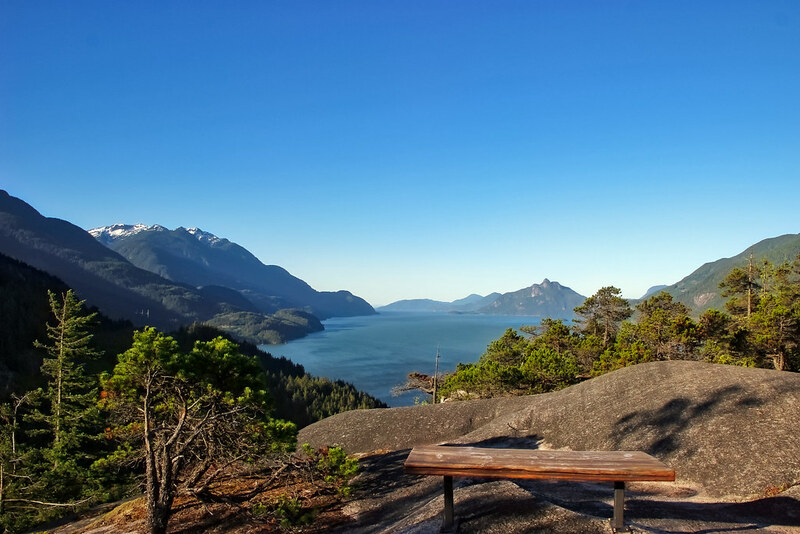 There are countless hikes around Vancouver that are suitable for hiking before the winter season comes. This isn’t an exhaustive list of all the fall hikes around Vancouver, but it’s a collection of our 14 favourites (plus a few extras). A word to the wise before we begin. Safety is always the most important consideration when hiking. As snowfall is so unpredictable, it is possible that snow may come earlier than expected to some of the trails on this list, or they may be icy. There is much less daylight than in the summer, making your window to complete the hike smaller. Dress and prepare accordingly. MicroSpikes or Trail Crampons are a good idea to carry. Make sure to know the trail conditions before you head out, follow standard safety practices, and always carry the Ten Essentials. Now, let’s look at the hikes! Details: Garibaldi Lake is beautiful any time of year. Getting up there before the snow settles in offers a chance to see the lake without the heavy summer crowds, and get one last look at the beautiful turquoise waters before they are frozen over for the winter. Peak 1 of the Stawamus Chief, seen from Peak 2 during sunrise. Details: The Stawamus Chief is one of the busiest trails near Vancouver. For this reason, it’s a great hike to do in the spring and fall when the crowds are fewer. Even on a rainy day, this is a hike that never disappoints. 3 different peaks to climb keep things varied and interesting on return visits. Details: Murrin Provincial Park is a popular spot for swimming, fishing, and rock climbing. You can make this a longer hike by exploring the many trails in the area, or make a quick out-and-back trip to the Quercus viewpoint (pictured above). Details: Crooked Falls is one of the best waterfalls around. 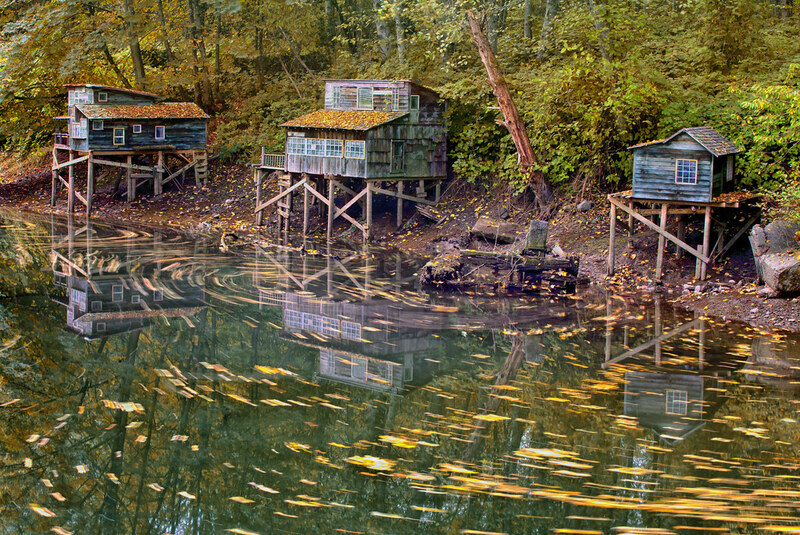 It is also off the beaten path enough to not draw huge crowds. The flow of water won’t be as large as it is during the springtime, but there’s never a bad time of year to visit this gem. Details: The 14 km hike parallels Lynn Creek through the forest and has minimal elevation gain. 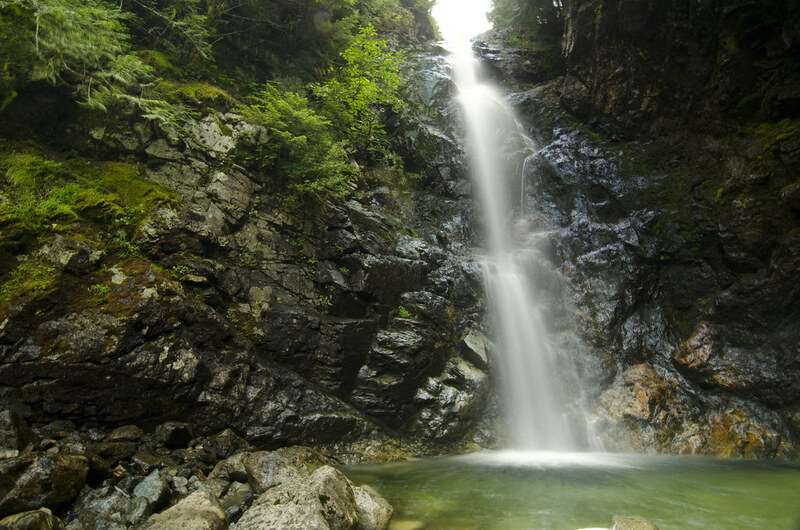 Norvan Falls is a popular destination on the North Shore year-round. 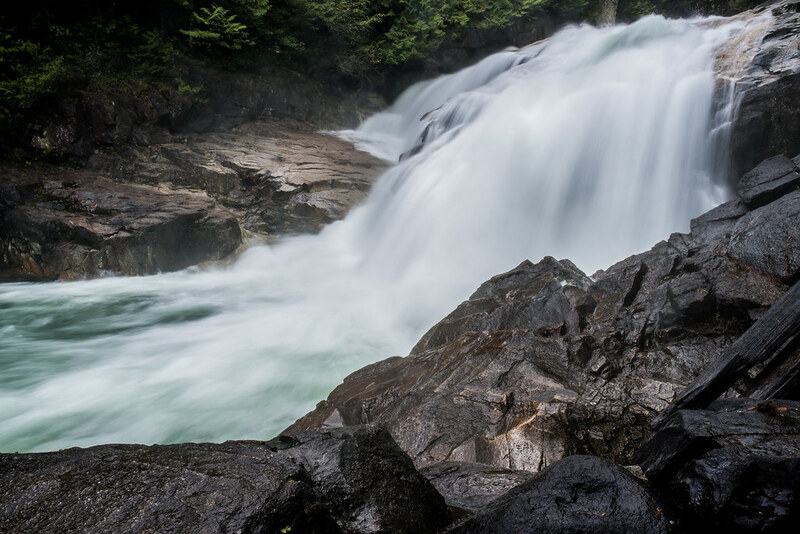 Lynn Headwaters is the perfect place for a rainy day hike on the North Shore, and has other trails like Lynn Loop and Twin Falls as well. Details: The Sendero Diez Vistas Trail will take you on a challenging trek all the way around Buntzen Lake. The trail goes up and along a steep ridge on the west side of Buntzen Lake. The trail loops around the lake and follows a flat path around the lake’s east-side. 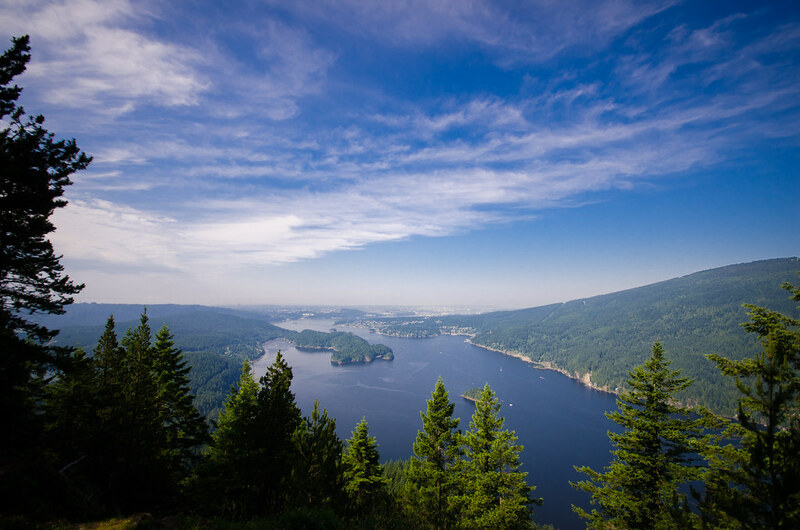 In addition to the scenery of the lake, there are ten breathtaking views provided along the ridge of the trail looking overlooking the North Shore, Burrard Inlet, and the Indian Arm. You can shorten the hike by doing an out-and-back to the lookout, rather than completing the entire loop. Details: Maplewood Flats in North Vancouver is a 311-acre conservation area managed by the Wild Bird Trust of B.C.. Maplewood Flats contains over 3 km of trails lining a beautiful and peaceful tidal marsh. It is a serene birding, nature observation, and walking area. It is one of the easier hikes on this list, and a nice family-friendly spot for a casual walk. 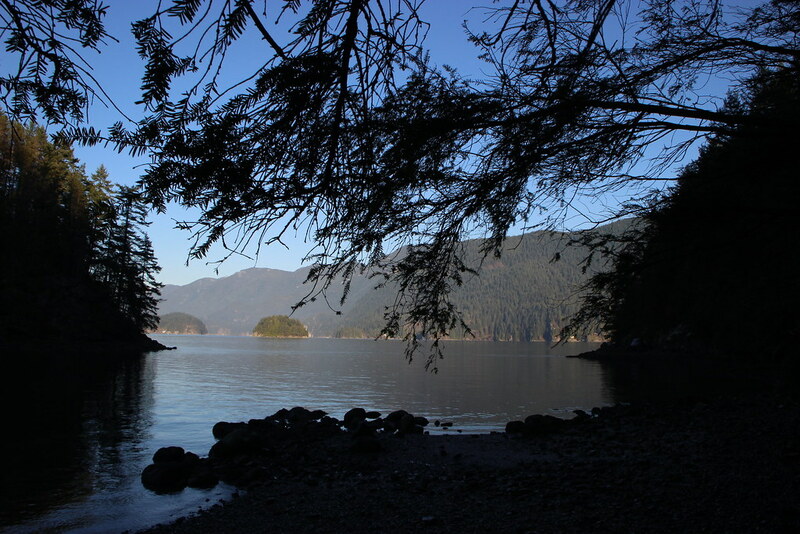 Details: This peaceful hike takes you through a mostly flat trail to a beach, sitting at a point within the Indian Arm. The beach overlooks nearby Jug Island, and is a great hike for those wanting some fresh, ocean air. 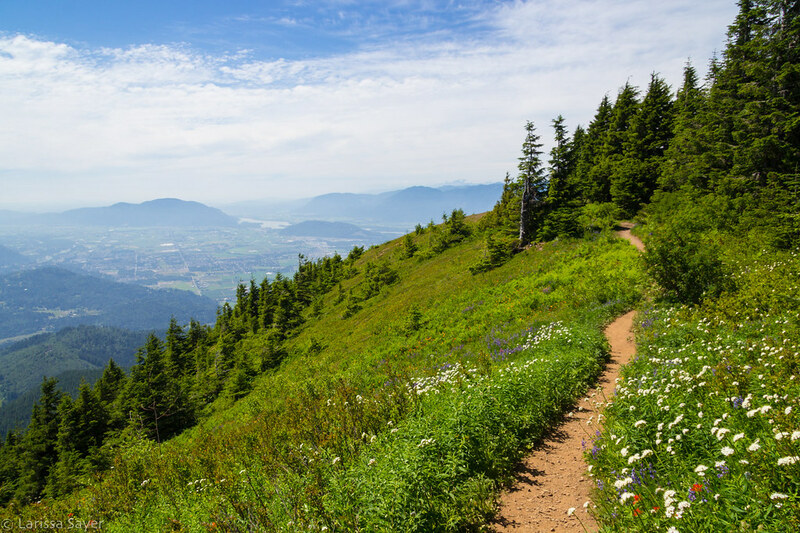 Details: A Chilliwack favourite, this hikes provides greats views of Cultus Lake and the surrounding Fraser Valley area. Details: Lindeman Lake is a gorgeous, turquoise lake in Chilliwack. 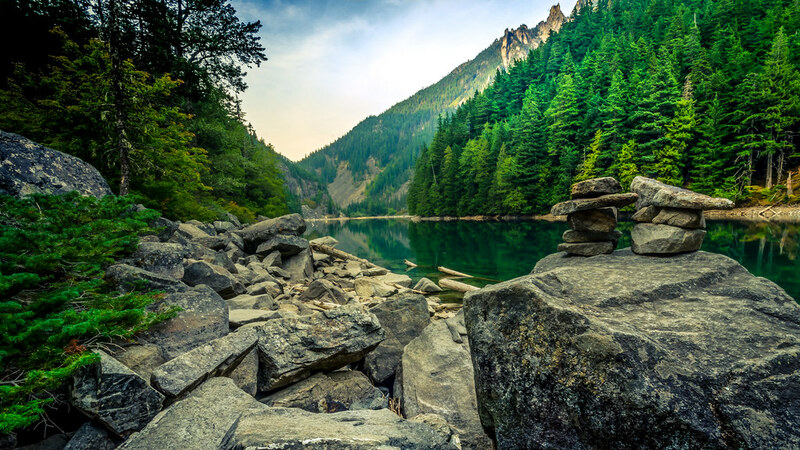 Popular for camping in the summer, Lindeman Lake is worth visiting anytime the trail is snow-free. It’s a long drive for a short hike, but oh-so-worth-it. This one might be better left until late spring because snow can persist here longer than the other hikes in this list. 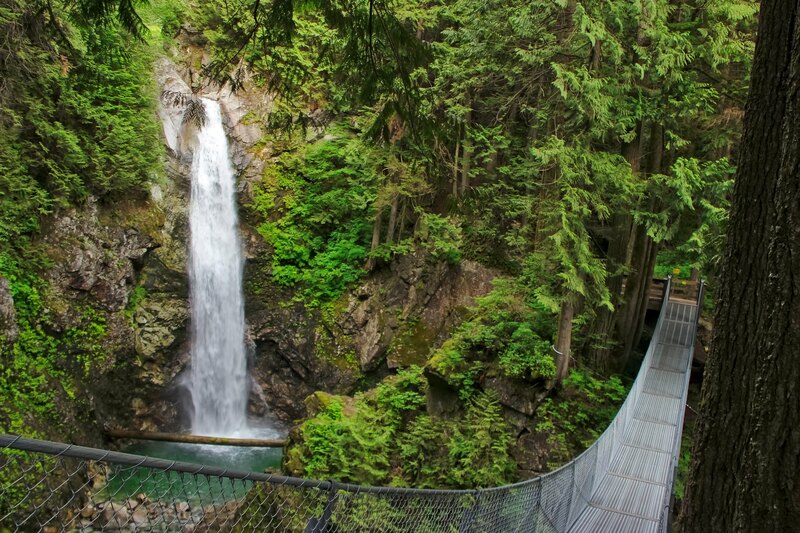 Details: A short walk from the parking lot takes you up to a suspension bridge and lookout over the scenic falls. They don’t get much more picturesque than this. 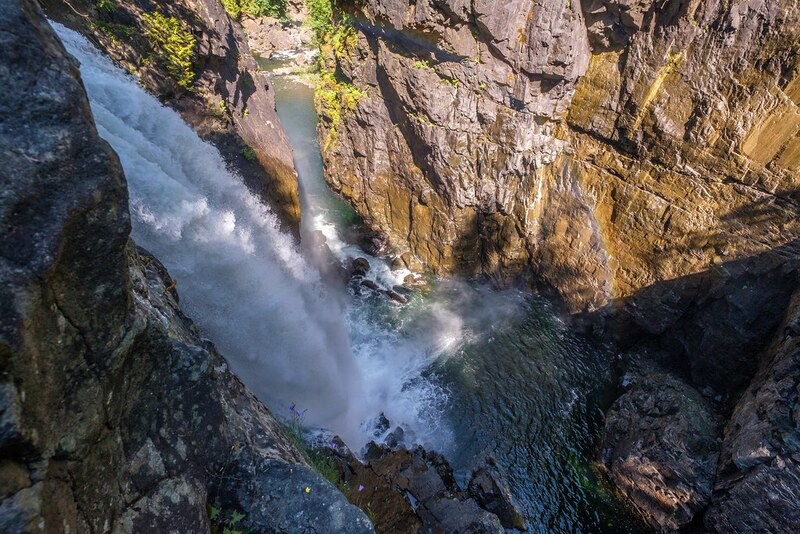 Details: Little Qualicum Falls is a gorgeous waterfall located on central Vancouver Island. 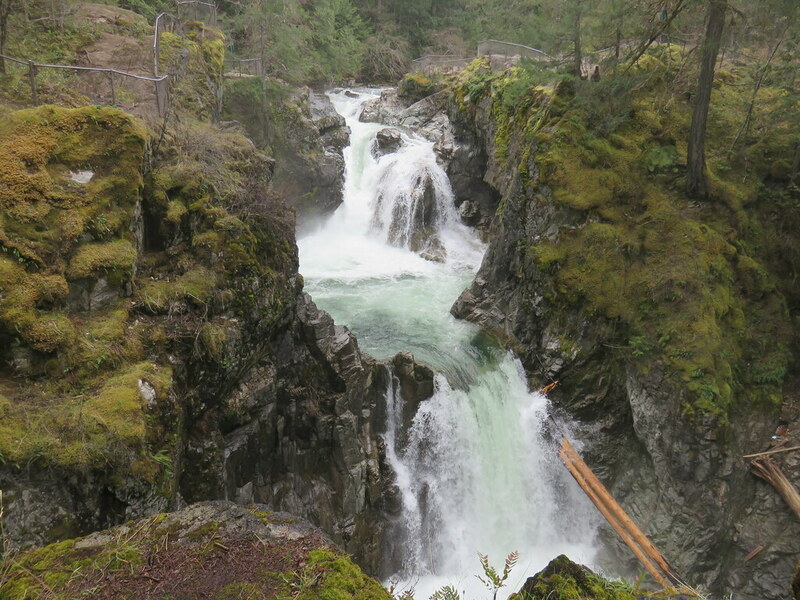 There are actually several falls that cascade down the Qualicum River which carves its way through an impressive rocky canyon. 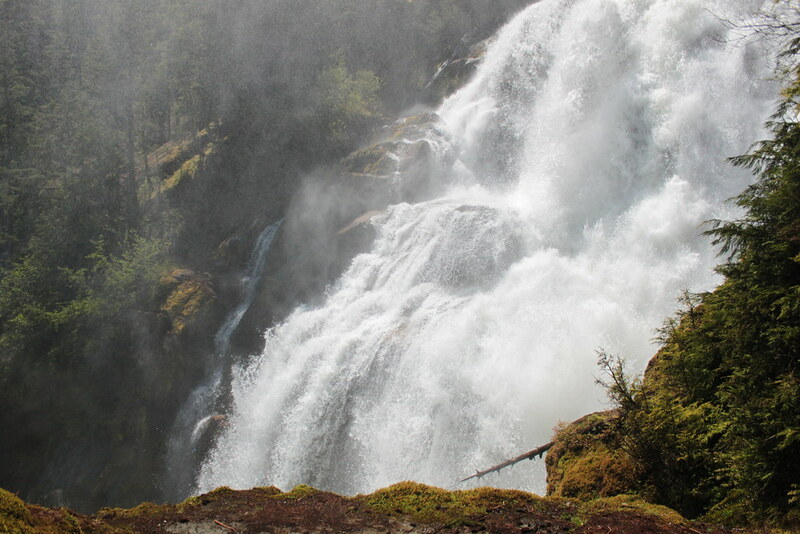 Details: Elk Falls Provincial Park is a popular destination for camping, salmon fishing, and to see its incredible 25-meter (89-foot) waterfall. In 2015, an impressive suspension bridge was added to the park, just above Elk Falls. The 60-meter-long bridge makes this a really fun hike for kids.